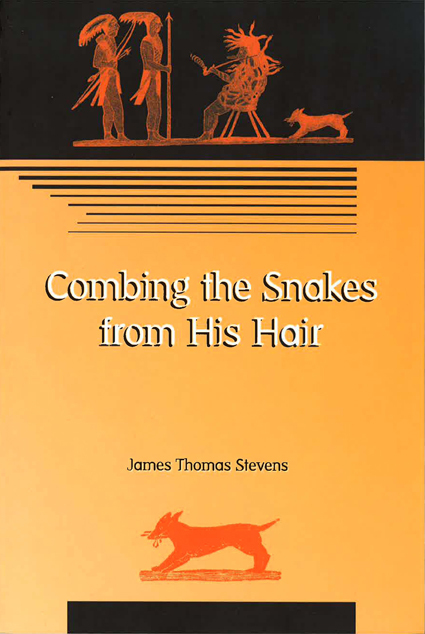 The title, Combing the Snakes from His Hair, alludes to an Iroquois story of healing. Atatarho, the Onondaga leader, had a crooked body and a head covered with snakes. In order to achieve peace, Atatarho had to be healed: his mind straightened, his body straightened, the snakes combed from his hair. Similarly, during the writing of these poems, Stevens experienced a healing, a setting straight of his life and a setting straight of the record. The collection, written between 1993 and 1999, is comprised of five sections. The opening section, written as a way to explore new natural surroundings, is accompanied by the author's drawings of prairie flora. The second section is a series of love poems. The third section examines the relationship between European music and Native American music and observes that both should be viewed equally as expressive of each culture. And the fourth section consists of short poems—translations, if you will—of Iroquois stories and songs. The final section consists of a long poem studying the effects of colonization coupled with an emotional contemplation of nature and one's place within it. It is concerned with language—who controls it, who possesses it, and how it is used by the colonizer to erase indigenous cultures.